Dreaming of owning an island in paradise? Then you have to check out these islands for sale in Fiji. There's a reason people have retired to live on the Fiji islands. Okay, I'll admit, you do need to have a bit of spare cash lying around! Minimum $1,000,000 - You are looking at around this figure to buy an island. In all likely hood, it'll be undeveloped, although sometimes it might have a house already there. Okay, it's probably as much as you though! Maximum $25,000,000+ - At this figure, you are looking at a much bigger island which likely includes resort(s), staff, runway, and your own luxury house. The Fiji Real Estate page is the hub for all your real estate information in Fiji. This section, however, is still underdevelopment and will be updated as information comes to hand. This is a favourite story of mine which consists of an entrepreneur buying and developing the island of Wakaya. Wakaya (population between 300-600) is a privately owned island in the Lomaiviti Archipelago. (Check our maps section). It's situated at 17.65° South and 179.02° East, and is approximately 8km² or 5miles². The island was bought in 1973 by David Gilmour, a gold-mining entrepreneur who also happens to be the founder of Fiji Water. and the Wakaya Club, an exclusive resort. The highly exclusive Wakaya Club Fiji has 10 luxury bungalows with a staff of 300. It offers everything you'd expect in a secluded luxury resort. There are numerous private beaches, nature walks and hikes, and birdwatching some of the island's 36 species. At the time of writing Wakaya Island was on sale for US$6.950,000. 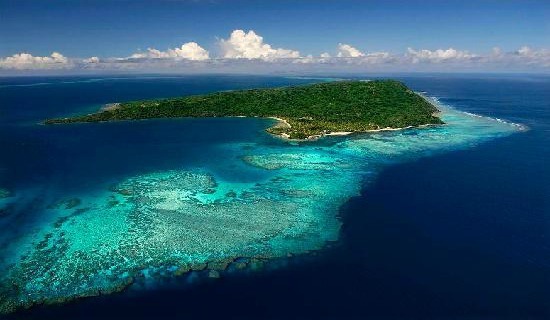 Another inspirational story is that of Turtle Island Fiji. Read up to find one man's mission to make his island into an eco-wonder! Okay, so you are ready to buy your very own island! Visit the Private Island Online site, which you can also look at islands for sale all around the world. Check out this fun How to own your own island guide! 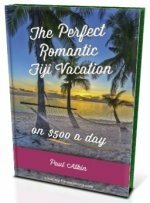 Upon purchase, just be sure to mention me, Paul from www.Amazing-Fiji-Vacations.Com... I'll be sure to drop by!